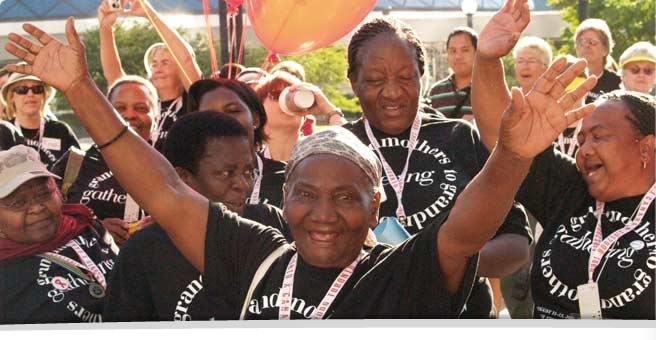 2006: The Stephen Lewis Foundation held the first ever Grandmothers’ Gathering in August 2006, on the eve of the XVI International AIDS Conference in Toronto. 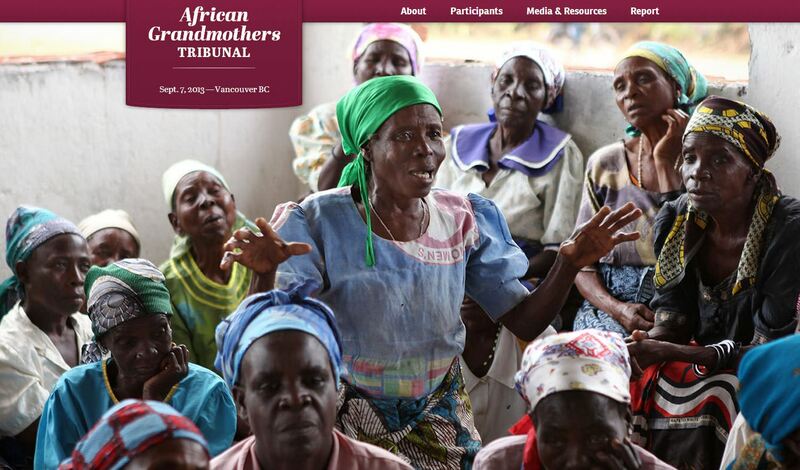 One hundred Africans and two hundred Canadian grandmothers gathered for two days of workshops, run by the grandmothers themselves, on topics ranging from grief to traditional songs, from depression to fundraising, and from stigma to the care of children orphaned by AIDS. On the third day, the women marched through the streets of Toronto for a closing ceremony at CBC Headquarters, attended by (current UNAIDS Director) Michel Sidibe, singer Alicia Keys, and a host of others. 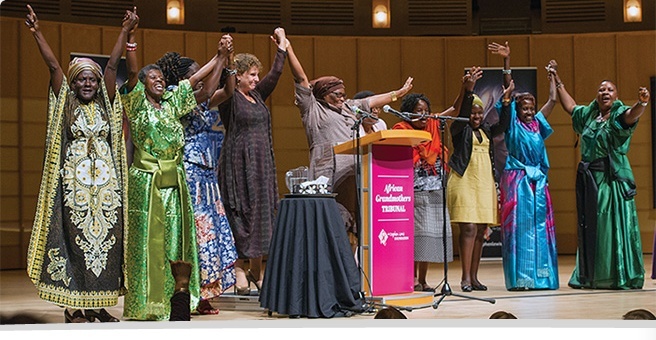 The Gathering provided an opportunity for Canadian grandmothers to hear the testimonies of African grandmothers first-hand, and for both Canadians and Africans to recognize and affirm a shared identity as grandmothers and leaders. Together, they created the Toronto Statement, a joint statement of commitment and intent. African grandmothers are leaders in their communities and the primary caregivers for their orphaned grandchildren. They work valiantly to fight the stigma of HIV/AIDS, raise awareness about the virus and provide vital care to people living with it. In spite of the heartache and hardships, there are signs everywhere that the tide of AIDS is beginning to turn at the community level. It’s time to recognize that grandmothers at the forefront of the HIV/AIDS crisis must have our human rights respected and protected. It’s time to support our organizations fully and put systems in place to address our needs and the needs of the children in our care. It’s time to recognize our contribution to the survival of our communities and the expertise we have developed to do so, by giving us our rightful place and voice wherever decisions are being made. Our labour, with all of its struggles, challenges, knowledge and triumphs has gone unheeded for too long. We will not let the AIDS pandemic defeat us nor destroy our communities, but we cannot prevail alone. Africa cannot survive without us. 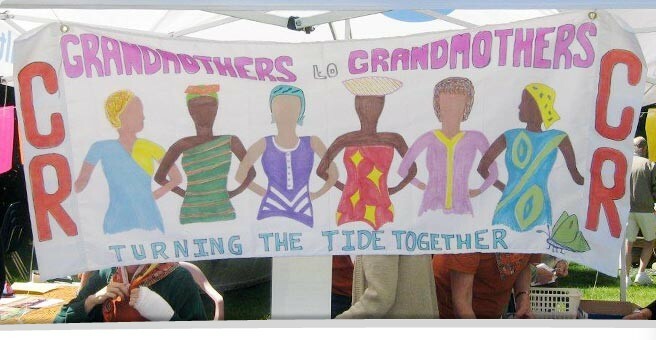 2014: Canadian artists, who are grandmothers, organized traveling show of artwork for sale and information on grandmothers in Africa.